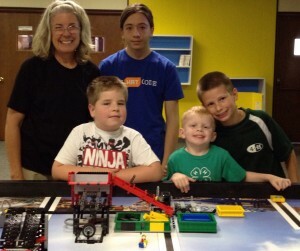 Tucker’s and Robby’s Mom, Beth shares a picture of a successful FLL challenge build team on Saturday. Pictured: Cathy, Carson, Sebastian, Robby, Tucker. We will have FLL Challenge booklets provided by Beth! 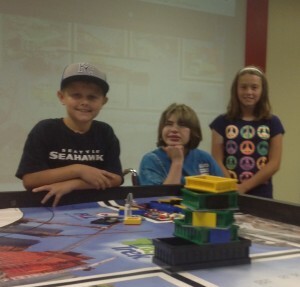 Earlier on Saturday: Carter, Cayleah and Grace Kick Off Science club FLL Trash Trek Big Build Day. This entry was posted in Science Calendar and tagged Academy, AcademyScience.us, Carter, Cathy, Computer Science and Engineering - CSE, EV3, First Lego League, FLL Trash Trek, Griffith, Hanus, Michael, Nate, Nebraska 4-H, Prepare, Robot, Science, Science Calendar, Sebastian, Tucker. Bookmark the permalink.